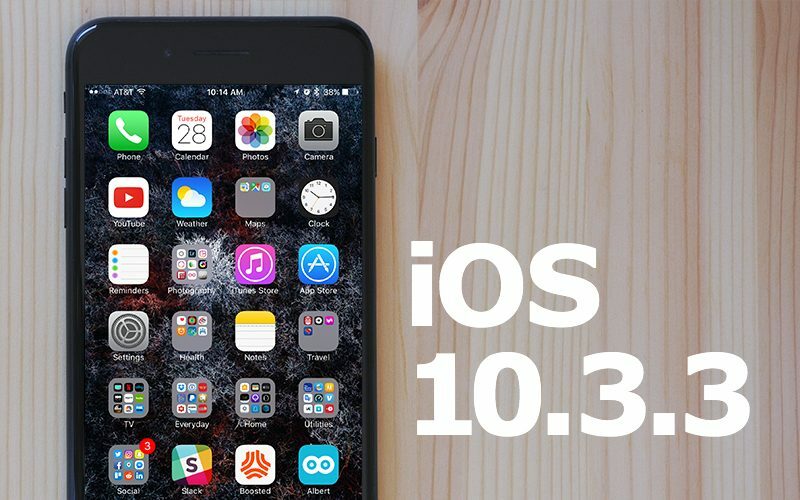 Apple today released iOS 10.3.3 to the public following several weeks of beta testing with six betas provided to developers and public beta testers. iOS 10.3.3 comes more than two months after the launch of iOS 10.3.2, a minor bug fix update. No outward-facing changes or features were discovered during the short beta testing period, so it appears iOS 10.3.3 focuses on bug fixes, security enhancements, and other minor improvements, much like iOS 10.3.2. Apple's work on iOS 10 is winding down as the company prepares to launch the next-generation version of iOS, iOS 11, which first debuted at its Worldwide Developers Conference in June. iOS 11 will see a release in the fall following a summer of beta testing. With work shifting to iOS 11, iOS 10.3.3 is likely to be one of the final updates we see to iOS 10. Update: Apple has shared detailed notes covering the bug fixes that were introduced in iOS 10.3.3. Among the fixes is an update for a major vulnerability that would have allowed hackers to execute code on the Broadcom Wi-Fi chip built into many iOS devices. This issue was also previously addressed in iOS 10.3.1. I just downloaded this update and it bricked my phone - got the infamous black screen with the iTunes logo and the lightning cable. When I finished the update, an image of Steve Jobs giving the thumbs up appeared in place of the Apple logo. That was immediately followed by a notification from my bank that $1,000 had just been added to my account. Oh yeah, all I need to do is perform a restore via iTunes. I've had this happen once in the past. It'll be a boring commute home, though! So it wasn't really "bricked" - people overuse that term. When something is "bricked", it is not usable and can't be brought back to life by the user with a simple restore. "Bricked" has to go back to the Apple Store and be exchanged for another unit. I'll stay on the latest 10 until 11 is confirmed free of significant issues. That'll be after iOS 12 is released. How is 10.3.3 as a daily driver? If they haven’t fixed all the kinks I am sticking with ios 11. Well, a minor bug fix update that is likely one of the last ones to an established OS version is likely more stable than an early beta for a brand new major version of an OS. So long...we hardly knew ye.